is inspired by the Venezuelan El Sistema (which has been activating social change through music since 1975). Inspired by the vision of YONA? Would you like to become a part of that story? There are a myriad of ways that you can volunteer and become part of our program. To start, think about where your areas of expertise lie. Are you a natural organizer? Perhaps you could help with administration. Perhaps you are a social media boffin? We need help with networking. Do you like cooking? Your skills might come in handy when we have holiday camp. Or maybe you're a whiz with kids? Extra adult supervision is helpful. If you think you could be of any help, please fill in the form. How many hours per week/per month would you be available? 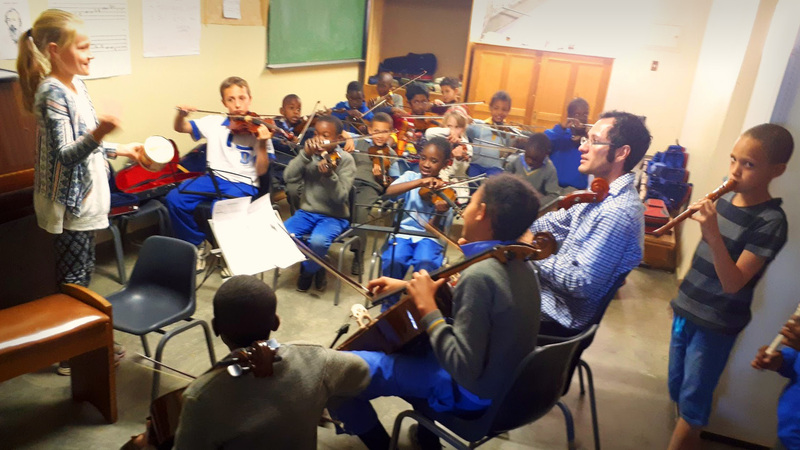 Youth Orchestras of Namibia (YONA) is inspired by the Venezuelan El Sistema (which has been activating social change through music since 1975). Youth Orchestras of Namibia (YONA) is a movement with the vision to transform the lives of youth through music. 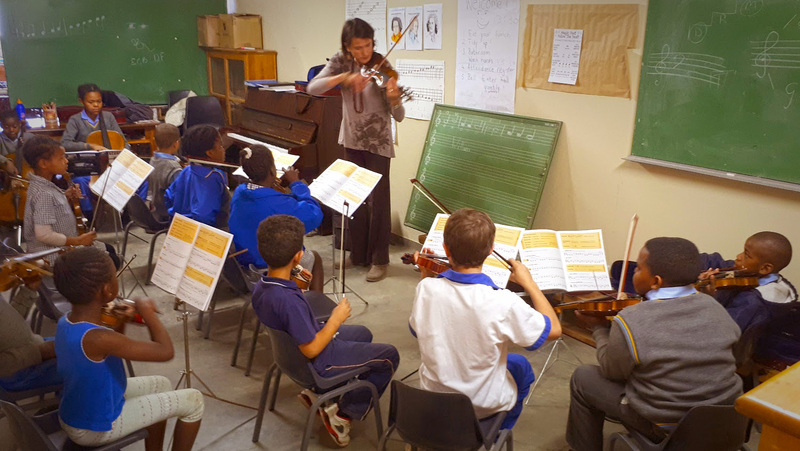 YONA’s mission is to provide an intensive music program that develops a sense of belonging, teaches the importance of teamwork and a strong work ethic, and promotes self-confidence and good citizenship. The overarching principle is to advance children first and music second. In classes, where all children are welcome, they learn so much more then just to strike the right note. 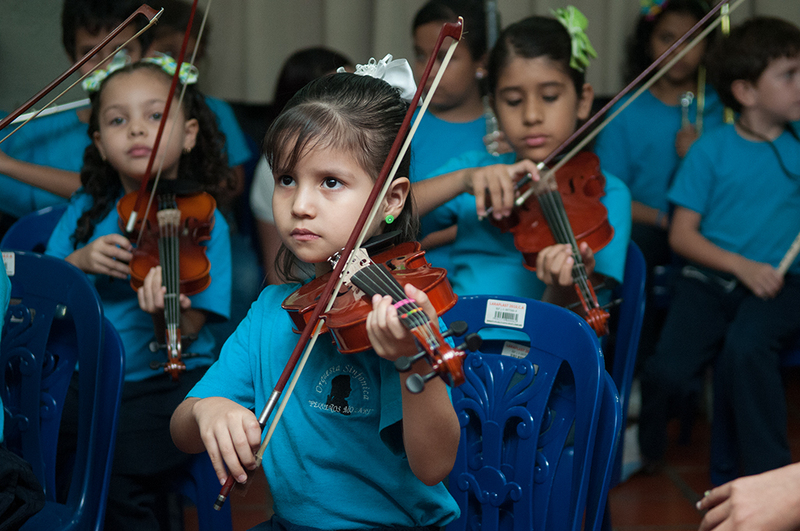 Since its founding in 1975, Venezuela’s National System of Youth and Children’s Orchestras and Choirs, called “El Sistema” has used music education as a vehicle for social change. It cultivates an ‘affluence of spirit’ which today brings hope, joy and positive social impact to 400,000 children and their families and communities throughout the country. Its founding principles include a team-based approach to collective, cooperative education characterized by trust, discipline, empathy, commitment, structure, and support for self-esteem. This unprecedented success has inspired hundreds of similar programs which serve an estimated one million children in at least sixty countries around the world. Could a Venezuelan Movement Have Significance to Namibia? Venezuela is a country of over 31 million people, with a population density of 33.75/km2. It is the most urbanised country in South America, and there is a large gap between rich and poor people. Namibia, which has only 2.1 million people, has a population density of only 2.54/km2. Namibia also struggles with poverty, crime and domestic violence, and there is also here is a huge gap between rich and poor. It should therefore follow that Namibia could benefit tremendously by a movement like El Sistema.